This guide will help you to quickly find a element and edit it with CSS. This Guide is for Google Chrome, but it could also work in Safari or Firefox. 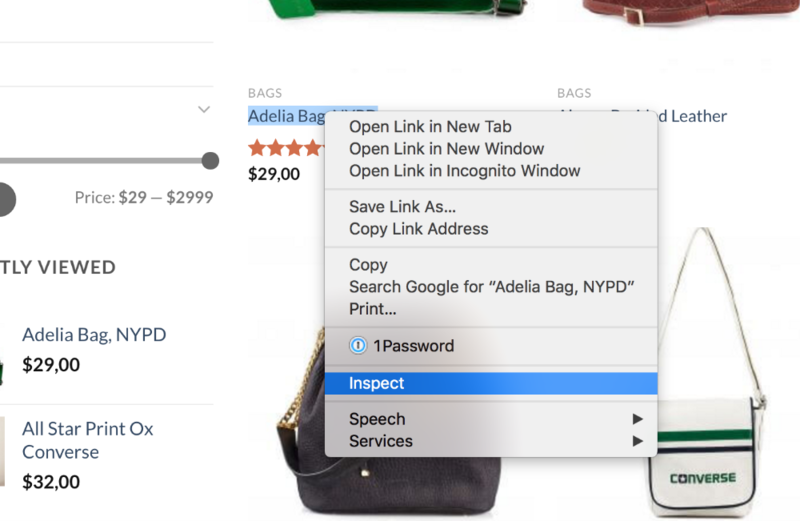 1) Right Click a element and click "Inspect" to open the Web Console. 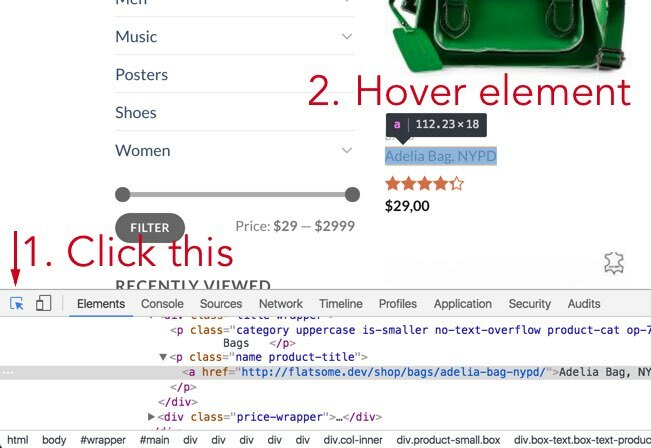 2) Click the "Inspector" button and click the element you want to edit. This is a CSS selector string. 6) You can now start adding custom CSS to this element. You can add the custom CSS to Advanced > Custom CSS.